The Compulsive Reader: Where She Went Teaser Tour! Last year, one book I really enjoyed was If I Stay (you can read my review here). It's emotional, it's heart-wrenching, it's unique...and I thought it was over when I read the last page. Turns out I was wrong. Mia does get accepted to Juilliard. And she does go. But she isn’t going there anymore by the time the events of Where She Went go down. What happened? Was the pressure too much? Did she relapse? I could tell you, but then I’d have to kill you. I will tell you that the role music plays in Mia’s recovery is both interesting and intense. I'm certainly eager to see what happens, how about you? If you're looking forward to Where She Went as well, be sure to pre-order it ! For those of you who still need to read If I Stay, you can enter to win a signed paperback here! Just fill out the form at the bottom of the post! 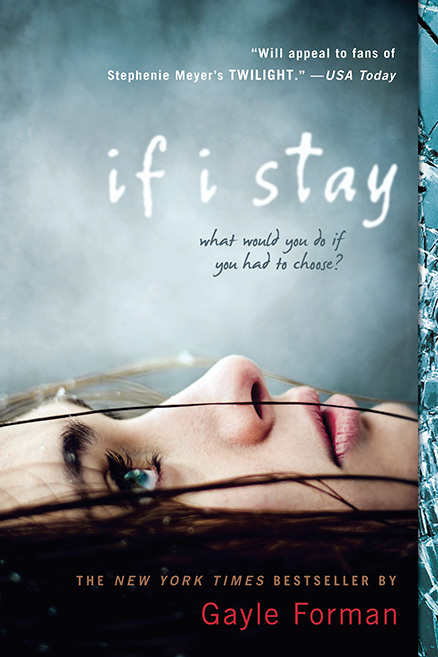 Also, please check out the new paperback trailer for If I Stay! Well, I haven't read If I Stay yet. I have seen it & heard about it & read the summary, but have never actually read it. I think it is because it always struck me as a sad novel & I just don't do sad. But, knowing there is a sequel makes me think maybe I was wrong. Thanks for your teaser! Great giveaway thank you very much I never read it yet but alaways wanted to:)Thanks for the chance!